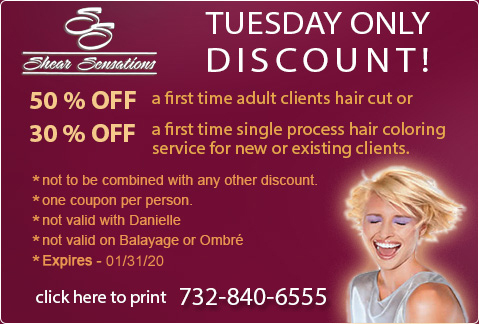 Shear Sensations Hair Salon is located in Howell NJ. 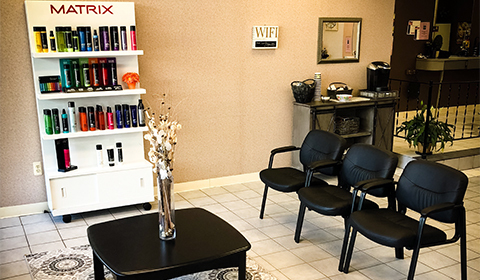 Our salon was established in 1990 and since then has been dedicated to providing our clients with the best service in a professional atmosphere. 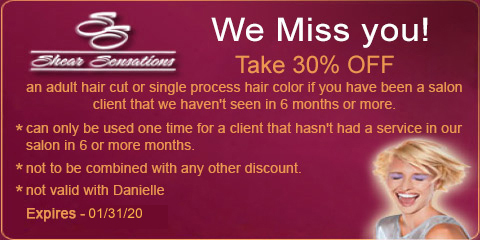 We excel at the latest hair cutting, coloring & Keratin techniques. We are committed to improving the quality of our skills thru advanced education & training. Let us help you achieve the look you desire. Please call if you are looking for a Bridal Party or a Special Event Hair Styling on a Sunday! Maintained by Evergreen Software Co.